After the day’s refreshments and exploring the hotel, we planned to explore the adventures of Patnitop.So after filling ourselves with the delicious breakfast, we packed some eateries, hired a cab for Patnitop and left for the destination. The place is located at a distance of around 90 kms from our stay and it was more about two-hour journey. We settled ourselves in the cab and enjoyed the serene beauty of the place outside the car and melodious music playing within the cab. I was throughout clicking the pictures so that I can enjoy and relive the moments shared here with my lovely friends.We reached the beautiful little hill station at around noon. It was located at an altitude of more than 6600 ft at a plateau sited at the lower Himalayan range. The place was bordered by dense Cedar and Deodhar forests which were accentuating the natural beauty of the place. 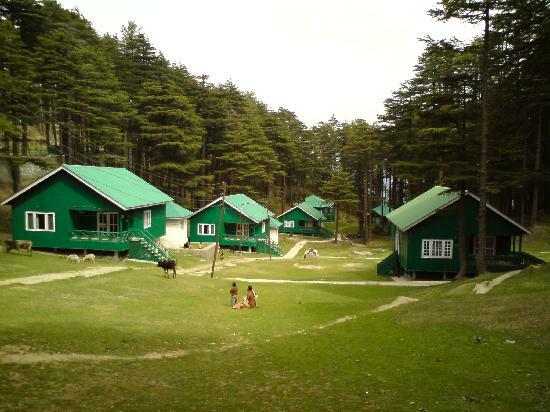 This little hill station was offering natural splendor and ambiance at its best. People there were enjoying the place as picnic spots with calm walks and startling site of the mountain peaks and the Chenab basin. 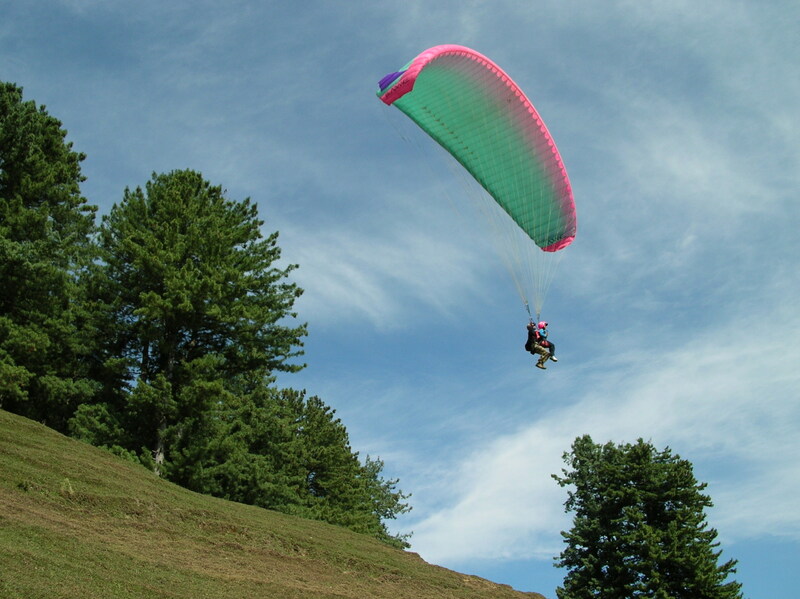 We came to know that paragliding is also offered at Patnitop. This sport is organized at mere 2 km on the Patnitop-Sanasar road.We also decided to give it a try. Though I have fear of heights, my friends persuaded me to try it. After enough of convincing, I agreed to it, but only after watching them to go for it first. Raman was the first to try the sport. He was so excited that it was getting difficult for the pilot to explain him the safety measures. After all the safety measures taken, he was gliding in the air accompanied by a pilot. He was shouting and screaming throughout his flight that lasted for about 10-12 minutes. The flight landed at Kud and from there he was taken back to the starting point by a car. When back, he almost pushed us all to try and have that awesome experience. I was last to try and glad that I didn’t back off. The experience was amazing. We all gave it a shot once again and enjoyed the adrenaline rush in our body while paragliding. This entry was posted in Adventure, Tourist Place, Travel and tagged paragliding at patnitop. Bookmark the permalink.